A richly decorated binding on a dogale made in Venice in 1597 for Doge Marino Grimani, the chief magistrate of the city, is turning heads at the fair. A dogale is a document issued by a Doge; this example comprises gilt interlacing decorations on the cover in an Arab style. The document was given to Bartolomeo Parutta, a member of an illustrious Venetian family who was appointed prefect of Rethymno in Crete. Parutta’s coat of arms—the Lion of Saint Mark holding a book—appears on the cover while a painting in the front pages depicts Venetian officials debating around a table. 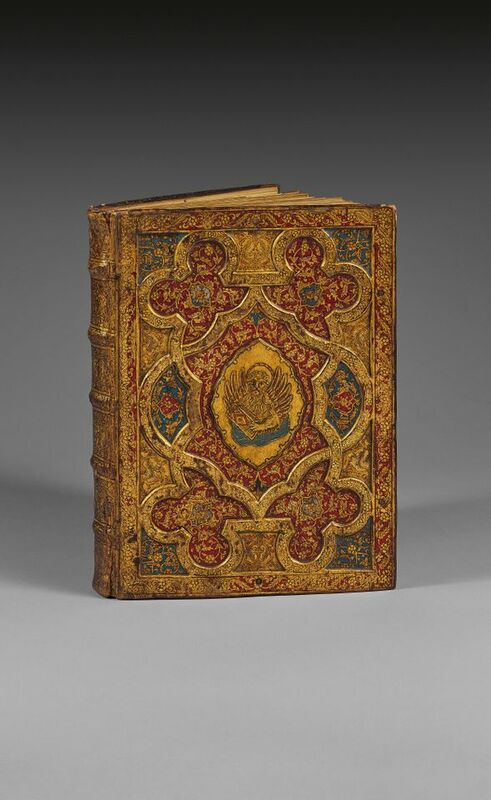 The binding has an impeccable provenance, says the gallery, having been owned by the French bookseller Edouard Rahir in the early 20th century. The binding is priced at €85,000. 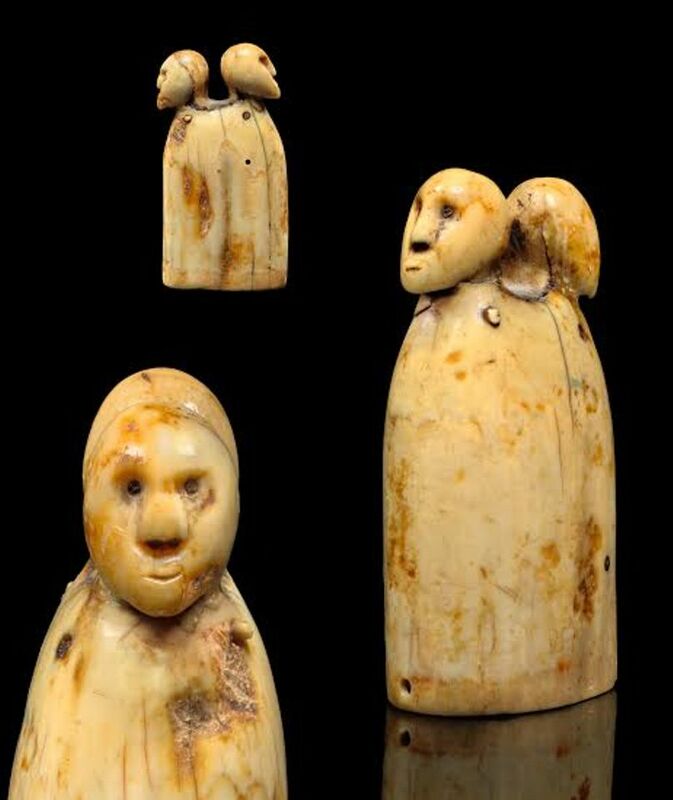 The Paris-based tribal art dealer Galerie Meyer is selling a minuscule container used by Inuits to store tinder, which was used to light fires, or snuff (finely chopped tobacco). The body of the container was carved in the 18th century in a single piece from the root-section of a massive walrus tusk; the cap is older and dates from 600 to 900 AD. “The artist used the naturally hollow root cavity of the tusk to form the container. The two large expressive human heads, with their inlayed eyes, represent ancestors or human-form spirits,” a gallery statement says. A whale-boat steerer named David McFall acquired the piece which was stored on the whaling ship the Bark Java around 1860. The price is undisclosed. A gargantuan 1960s mural by Bernard Buffet is making waves at La Biennale Paris. Buffet was enraptured by the resort of Saint-Cast-le-Guildo in northwestern France and he made a series of scenic works inspired by the seaside spot including the painting on show at the fair, priced at €2m. Buffet was as famous as Picasso in the 1950s but fell out of favour commercially and critically. The late French artist is now undergoing something of a renaissance; in 2016, a major retrospective of the Paris-born artist’s works was held at the Musée d’Art Moderne de la Ville de Paris. “His work has been criticised, the art world rejected him, and I include myself in that,” Fabrice Hergott, the museum director, told French press. The work comes from a private collection. The La Biennale Paris fair is at the Grand Palais until 16 September.